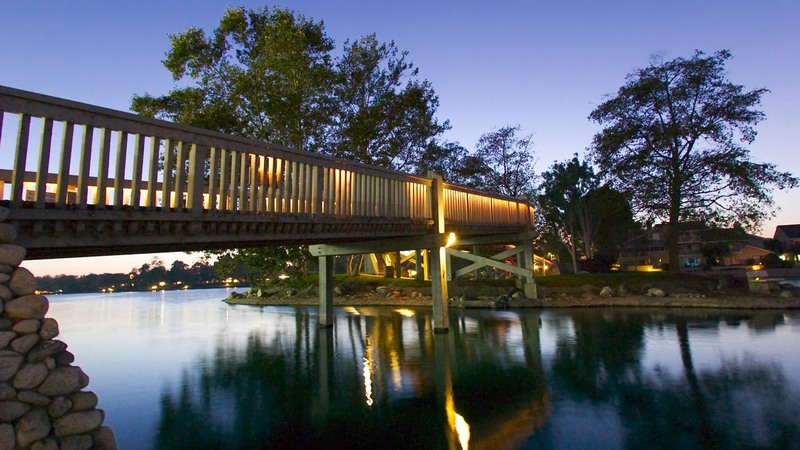 The natural beauty of Green Valley Lake makes #10 a no brainer: get out in nature. Before we left on our sailing adventure, I did alot of reading on something called "The Simplicity Movement." It means different things to different people, but the modern American version started way back in the 1800's by Emerson and Thoreau. They came to be known as the Transcendentalists. What they preached was self-reliance, and seeing and immersing oneself in the transcendental beauty of life that is all around us. Anyway, in these post-materialistic times, when we are told that we absolutely MUST have the newest iPhone and a new car lease every 4 years, despite the fact that more and more of us are living on Walmart and Starbucks salaries...well...there's a bit of a disconnect there. We learned to live very simply when sailing through Mexico and Central America. Upon returning to the states, we decided that would try, if possible, to not return to the full time corporate rat race that gave me so many migraines and panic attacks back in the day. We have a bit of money saved up. Is this even possible, we wondered? The basic theme is this: living on less is empowering. Having too many material things can be a weight that threatens to pull us under. But I like having cool stuff! 10) Get Out In Nature! It's basically using nature as entertainment, as diversion. Study after study shows that just getting out there, out of the house, out of the car, out of the office and into the fresh air heals our mind, body and spirit. We all know this intrinsically -- it's just a matter of simply doing it. It's fun and it's free. And just because you don't live someplace beautiful like Green Valley Lake is no excuse to not get outside. scenic walk like this one in Irvine, California. Get out there! So ditch that gym membership, grab a bottle of water and a packpack and climb that mountain! OK, this was (and is) one of the toughest sacrifices for me. I love nothing more than sharing my pithy insights on the latest HBO/Showtime programs around the water cooler (well, I suppose the fact that I no longer have a water cooler makes this a bit easier to swallow). We're just saying no to Netflix as well. I learned to live without TV during our 18 months of sailing. But as proud as I was during the trip that I had "kicked" TV, like any good addict, I knew I would mainline that sweet electric IV again immediately upon returning to land. I love movies too, of course, but knowing that all of the cool TV shows and movies are out there on DVD and digital, and that if they're that good I will eventually see them, eases the sting a little. I just need to be patient. This one is actually easy and fun for me. I'm a housewife now, and I love it. I'm really passionate about preparing healthy and delicious meals that don't break the bank. It's fun for me. The rare time that we do go to a restaurant, it's a special treat that we really appreciate. People: the next time you go to The Cheesecake Factory and find yourself sitting horrified before a gigantic macaroni and cheese entree with thousands of calories and wondering how you got there...just stop. Eat slowly and savor it. Then bring on the doggie bag. You've got a good 3 lunch servings in there -- that'll cover you for the whole week! Here's a dirty little secret: I hate texting. Carrying around this baby means I can honestly say: "I don't text." The comedian Louis C.K. recently (and bravely, I thought) shared that he doesn't have a smart phone, and he doesn't want his children to have them. I agree with his reasoning, which was basically that once we're away from the house, it's just not good to be electronically connected all the time. During our every waking moment. I love the computer, and I love being online. At HOME. And then when I leave the house, I rejoin the real world. It's really freeing. And might I add, we save a bundle. It sounds corny, but it's true. Break out the board games, people. When was the last time you enjoyed a good game of rummy? Instead of doing 18 holes at Pebble Beach ($500 a pop!) 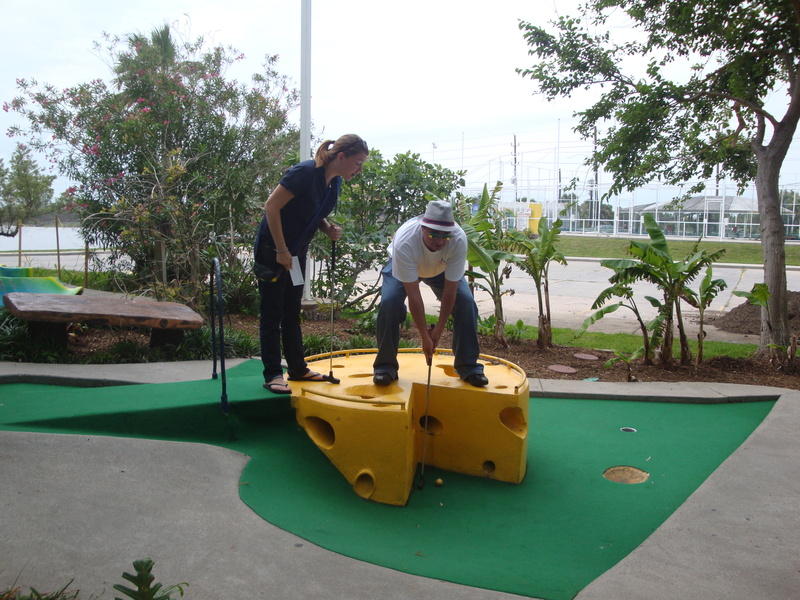 why not take the kids for a kitchy round of mini-golf? So...get a hobby, why doncha? Another thing: get a library card. Again -- it's fun and it's free. It's a no-brainer. 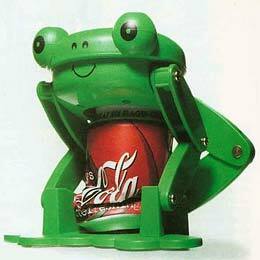 We love our can crusher. The very act of crushing is therapeutic. here at the cabin, including painting, heater reinforcements, etc. This is me. Self-reliance 101. It's all worth it, right? For the price of a $15 permit, Chris and I have gone into the forest several times and cut/chopped/split enough firewood for the whole winter. That's about $600.00 we saved! As most of the wood we reclaim was burned in the fire of 2007, it's a dirty job. We look like coal miners before we're through. and we'll reap the rewards all winter long. "I NEED that $400 Coach purse!" (pictured here is Real Housewife Vicki and her daughter Brianna, shopping at South Coast Plaza). It always amuses me when I watch people like Vicki Gunvalson of The Real Housewives say something like: "Some people don't appreciate the good things," to rationalize the latest extravagant purchase. Well, Vicki...it's not that we don't appreciate these things. A room at a 5 Star Resort is undoubtedly beautiful. The 700 count thread sheets are deliciously soft and welcoming. The $200 dollar dinner in the restaurant at the Four Seasons goes down real nice. It's not that we don't appreciate the good, the tasty, the shiny, the beautiful. It's that so much of it is a waste. And in this day and age, with so much suffering going on in the world -- such extravagant waste, well...I guess there's no way to say it, except to say that it's sort of in poor taste. Way to go Espiritu! Food for thought for us newly landlubbed back home in Victoria.